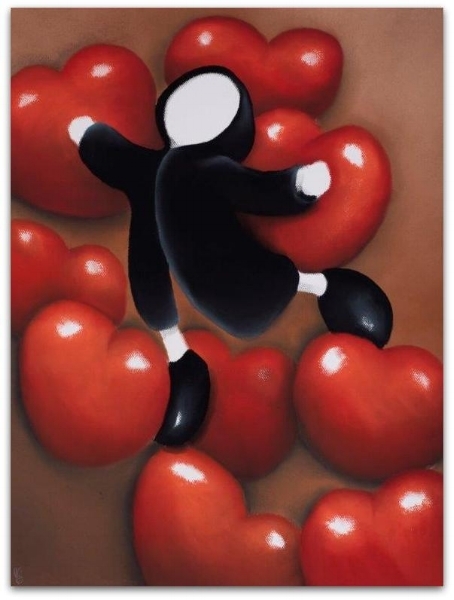 This is a one of a kind original pastel on paper with imagery that is truly playful and loving. 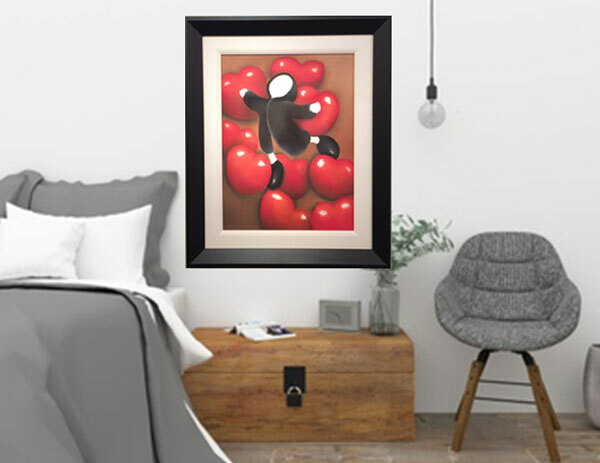 Thorpe uses the playful child floating in a bed of bright red hearts, almost skipping and singing as the focal point of this perfectly balance image. Mackenzie has an unparalleled vocabulary for love through his use of hearts. At times they are so large they appear to be the only element in the picture, at other times the heart can be so small it looks to be forgotten. Mackenzie continues to reflect the diversity of what he feels is the most important thing in life – love.